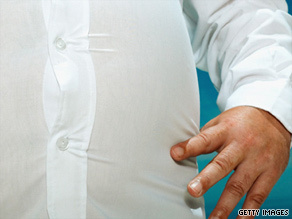 (CNN) -- You know that fat in your body you wish you didn't have? It turns out those cells could be used to create stem cells that one day may be able to cure disease. Excess fat may one day be able to help cure disease and regenerate damaged tissue, scientists say. Scientists at Stanford University School of Medicine have discovered that the millions of fat cells removed during liposuction can be easily and quickly turned into induced pluripotent stem cells, or iPS cells, more easily than the skin cells that researchers used when the first iPS cells were created in 2007. These iPS cells, like stem cells derived from embryos, can be turned into many different kinds of cells, and researchers believe they eventually could be used to regenerate tissue for organs and repair damage. Embryonic stem cells are controversial because the embryos are destroyed when the stem cells are removed for research. The iPS cells, which have many of the same basic properties, do not raise the same ethical questions as embryonic stem cells because they come from skin or now fat cells that have been reprogrammed to go back in time, so to speak, and have the ability to turn into any other kind of cell in the body. When embryonic stem cells were a highly controversial topic at the beginning of the decade, some companies offered to store fat cells from liposuction for a fee after it was discovered that there were stem cells in the fat, but their practical use had not been established. Now, the Stanford study has shown fat cells can be a player in the quickly evolving area of iPS stem cell research, not because they have their own stem cells but because the fat cells can be turned into iPS cells. When the first iPS cells were developed two years ago in Japan and the United States, skin cells were reprogrammed to be able to have properties similar to a human embryonic stem cell. That is, the cell could be "coached" into becoming any type of tissue or cell in the body. It takes about four weeks for a skin cell to be "primed" for reprogramming, and then it takes an additional three to four weeks for iPS colonies to grow, according to Dr. Joseph Wu, study co-author and assistant professor of cardiology and radiology at Stanford's School of Medicine. The method that uses fat cells can be as much as six weeks faster, Wu said, because the cells retrieved through liposuction are so plentiful, they can start reprogramming right away and have iPS cells in about two weeks. "We've been focused -- Dr. Wu's Lab and my lab -- on fat because there's just so much of it," said study co-author Dr. Michael Longaker, a plastic surgeon and stem cell biologist at Stanford. "Unfortunately, it's a great resource in America." These fat-derived cells used in the research are probably smooth muscle cells, not the actual blubber within a fat cell, Longaker said. The doctors' study was published online Monday in the Proceedings of the National Academy of Sciences. Although the average amount of fat removed for liposuction is 2 to 3 quarts, not much is required for stem cell research purposes -- less than half the volume of a can of Diet Coke, Longaker said. Potentially, iPS cells, which can in theory become any type of tissue, also could help stroke patients and people who have large scars or skeletal defects, Longaker said. Dr. Timothy Kamp, professor of medicine and stem cell researcher at the University of Wisconsin-Madison, who was not involved in this research, said it's a big leap forward that researchers were able to show that fat cells can be turned into cells that have the potential to become any tissue in the body. "This is another proof of principle ... another way to get stem cells," Kamp said. Another issue is that liposuction is a more involved procedure than a blood test, or even a skin biopsy, Kamp said. To what extent the human body would reject iPS cells from other donors remains unknown. The researchers in this study posit that one day iPS cells could be standardized according to different immune properties, and there could be a bank where patients would be matched with one of perhaps 200 varieties. These would be the 200 most common types of cells, to limit the amount of rejection. Both Wu and Longaker are practicing physicians and are eager to make their research translate into clinical applications for their patients. Still, the field of stem cell research is constantly evolving, and researchers said it's impossible to know how many years it will take before the fat removed from one person by liposuction could lead to the repair of scarred heart tissue in someone else.